As I write this, the whole of Texas is blanketed with persistant rain. Very uncharacteristic for this time of year. The Austin forecast for Friday and Saturday look like significant rain. Sunday looks clear for the race. why is quali so late? A wet qualy session could mean a number of cars out of place on the grid on Sunday for the race. Possibly some very good racing while they are sorting themselves out. Of course the fans in the stands might not appreciated the wet weather so much. Because of the time difference. Texas is 6 hours behind the UK. 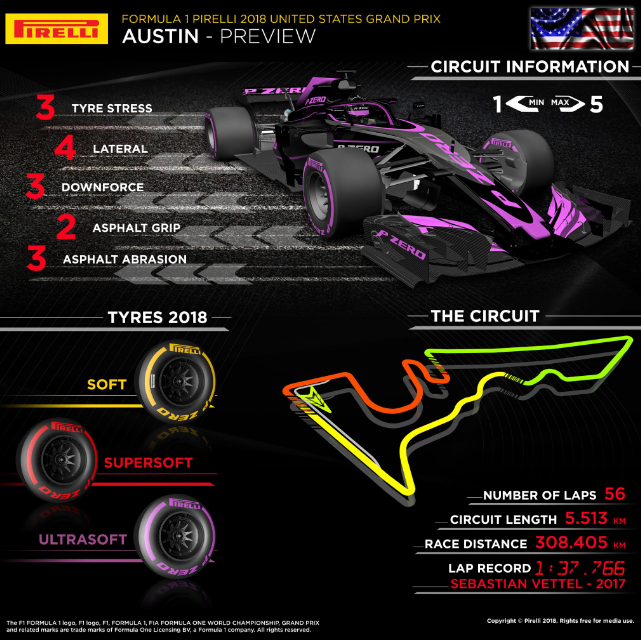 This is probably more relevant to the race thread, but is there any news on whether they are going to do that whole build up before the race farce! Watching it last year was so cringeworthy. But so is Mexico City. 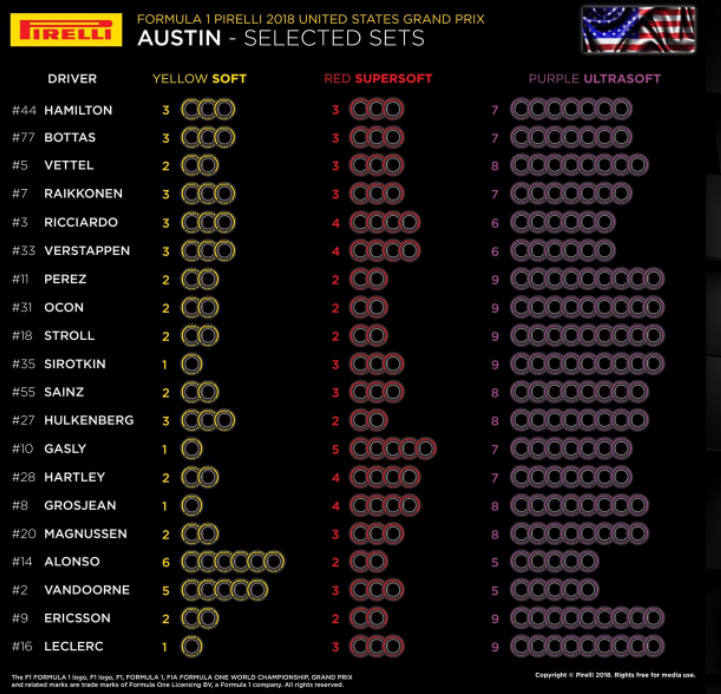 Last year, USGP qualifications were around the time of the race the following day, as it usually is at all the other venues. But this year, quali appears to be 3-1/2 hours out of sync with a 1:30 Sunday race time. I don't know the reason, but I suspect it's tied to something silly, like the post-quali music show 3 hours after quali ends. Can't make the fans wait too long to see Bruno Mars (Sat) and Britney Spears (Sun), with the concert ticket price bundled in the $700+ race admission. They only have 2-1/2 hours scheduled for the race broadcast with no prerace broadcast on the schedule on ABC or any ESPN that I can find. Race starts at 1:30pm local time and Quali at 4:00pm on Saturday. Don't know why they are running Quali at a later time??? I actually didn't mind it as a one off and I guess it's kind of what the Americans in the stands expect? 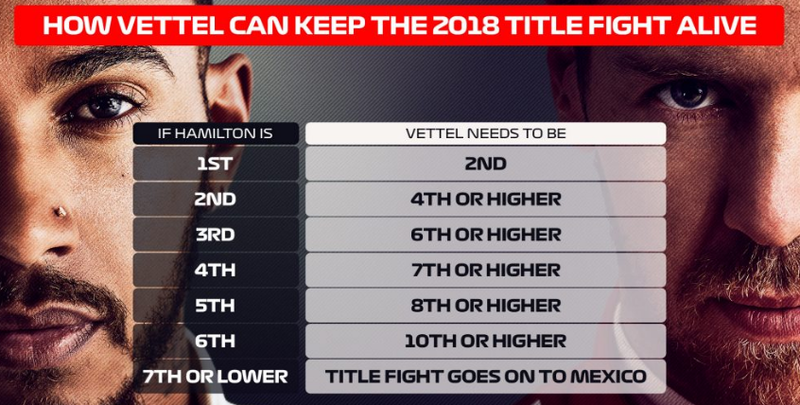 Also with just 4 races to go it's not a bad time to do it with the title normally still undecided and close to being won or lost. Still cheaper than the last time I went to Silverstone (without any music shows). You mean you didn't enjoy the magnificent Michael Buffer announcing the drivers? I loved it at first. But it felt like it took about 5 and a half weeks by the end. I thought it was an interesting novelty, and there's a grounding in US tradition for announcing all the drivers before the race - they do that at the Indy 500 every year. If someone who is use to that sort of thing says it was over the top then that's good enough for me. Acording to Joe Saward, they are not doing the driver intros like last year. I do wonder why Bottas seems to be one worse off for every part than any other driver with a Mercedes engine. You could say the same about Daniel Ricciardo couldn't you or the Rosberg/Hamilton engine reliability issue, just luck surely? I think it's because Merc changed his engine in Britain as a precaution after his retirement in Austria. This put him one lot of components ahead of the others. Then when Merc introduced their third PU in Belgium he had to take a grid drop because he was over the allowance. So basically it seems to go back to a precautionary change after he retired in Austria. Nicholas Latifi who was going to take part in FP1 instead of Esteban Ocon, won't be doing so & FIA have granted permission for the swap again. Guessing so because of the rain through which Latifi couldn't help much in giving feedback? Leclerc again not looking that convincing in the wet. Great amount of action on a wet track already. Prepping for qualy & maybe for race which could see wet conditions! It's uncanny how Lewis finds the limit in wet weather. I've long held a theory that the stand out Karters seem to be the better wet weather drivers..... Alonso uses odd lines in the wet too. Could well be talking out of my rear, and have no actual evidence to back it up, but that's how I see it.... being able to drive from the feeling through your pickle is the way to go for driving in the wet.